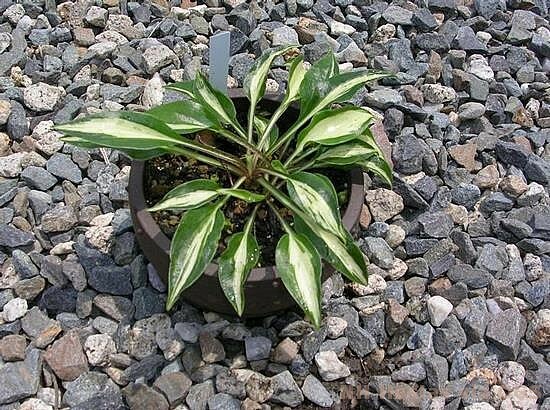 Product Information : Waxy foliage is deep green with a generous swath of creamy white down the center of each leaf. Lavender flowers. Mature Size : 4" x 8"